Mark Fouhy visits Ata Rangi Pastoral Ltd in Whakamaru, where he checks out the JCB 526-56 Loadall telehandler. There is a lot to be said for putting your faith in the tried-and-true, especially when updating a piece of machinery, but there are a lot of other things to consider. As always, good sales people will highlight all the latest gizmos or gadgets the machine has which are always appealing, but it’s also important to consider what you require the machine for its functionality for the job and the features it has to get the job done. 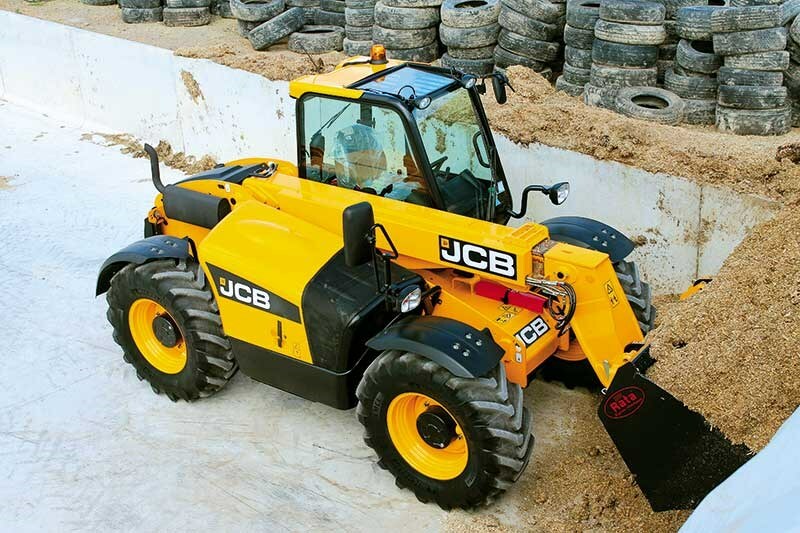 For those needing a machine for loader work – then it would be hard to go past the JCB 526-56 Loadall. Purchasing a vast area of ex-forestry, central plateau land to convert to dairy farms sounds crazy, but that’s exactly what farmer/businessman Gerard (Ged) and Vanessa Donald and financier Brent Cook have done. Their plan was to convert 5732 hectares of forestry into five dairy units of approximately 500ha running 1500 cows each. If you have travelled State Highway 32 between Tokoroa and Whakamaru, then you will probably have noticed a hive of activity, including contractors clearing and cultivating land, posts and wires being strung together for as far as the eye can see, the establishment of troughs and laneways leading to new rotary cow sheds, and new staff housing dotted close by. During my test of the new JCB, I had the opportunity to take a brief look at Atamuri, the first of the five farms up and running since August 2015. Although there is still some work to be done, I was hugely impressed with the setup, especially given what they started with not that long ago. Having delivered the new JCB 526-56 only a day or two earlier, I caught up with Vaughn Carson, sales manager for Class Harvest Centre, Bay of Plenty at the Atamuri Farm. Carson has developed a good relationship with the Donald family, part owners of Ata Rangi Pastoral, over the past five years. The latest JCB is now the 15th he has purchased (10 of which have been new) through Class Harvest Centre. The 526-56 is an entry-level agricultural machine brought in to suit a wide variety of users in New Zealand conditions. 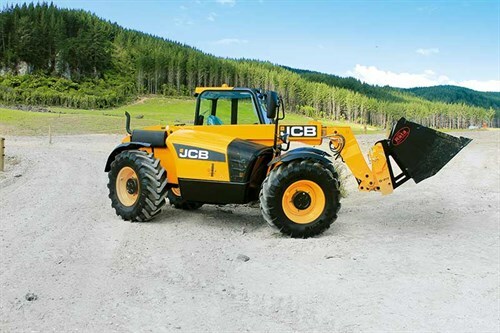 JCB invented the Loadall concept back in 1977 and manufactures a range of agricultural and construction machinery from its English HQ in Rochester, where the 526-56 is built. 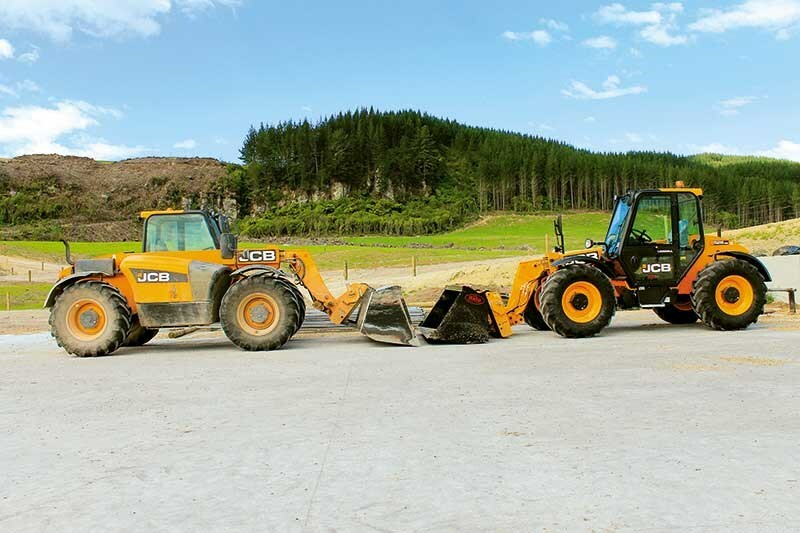 With almost 40 years in the Loadall business, JCB knows how to put together a quality machine. With two sheets of single piece plate steel running the length of the Loadall and with no welds, the possibility of bending or cracking is almost impossible. The main body of the boom is also made for a long-service life. The boom has been made from a flat piece of steel formed into a ‘U’ with a top plate welded on. Similar thought has gone into the nose/end of the boom construction with no welds to break through this high stress point. Pin wear is the most important area of a loading machine to ensure long service life. 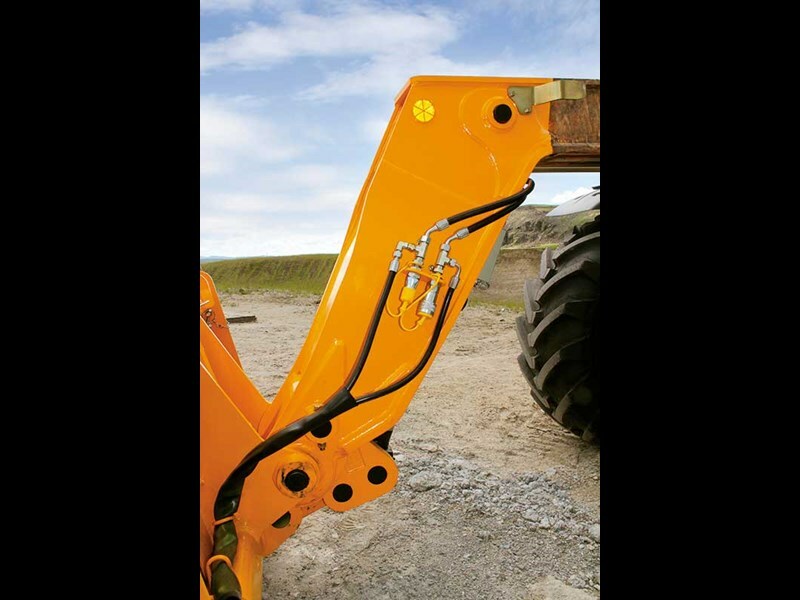 And luckily JCB has developed a ‘key hole’ design to prevent twisting and to minimise the chance of slop developing and greater wear on the hydraulics. Pretty important on a loading machine is hydraulic flow. At 80L/min the 526-56 is pumping at a similar level to your 100hp+ tractors. This model JCB is using a two-stage gear pump to achieve this. Sensibly JCB have opted for a two tank system, keeping the transmission oil separate to minimise the chances of damage. 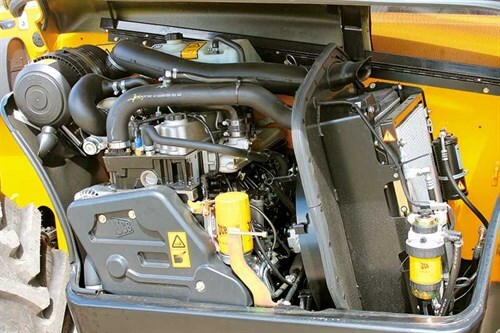 A JCB Dieselmax four-litre, four-cylinder 4400cc engine is used on the 526-56 Loadall. The current model is a Tier II common rail unit. Available power is 74Kw/100Hp which is pretty standard for this size of telehandler. A turbo is fitted but with no other filter or exhaust gas recirculation unit which keeps the cost of producing the engine down. The engine is side-mounted to the chassis, with a removable side panel to allow easy access for major service requirements. Daily checks are easily accessible when the side cover is lifted. 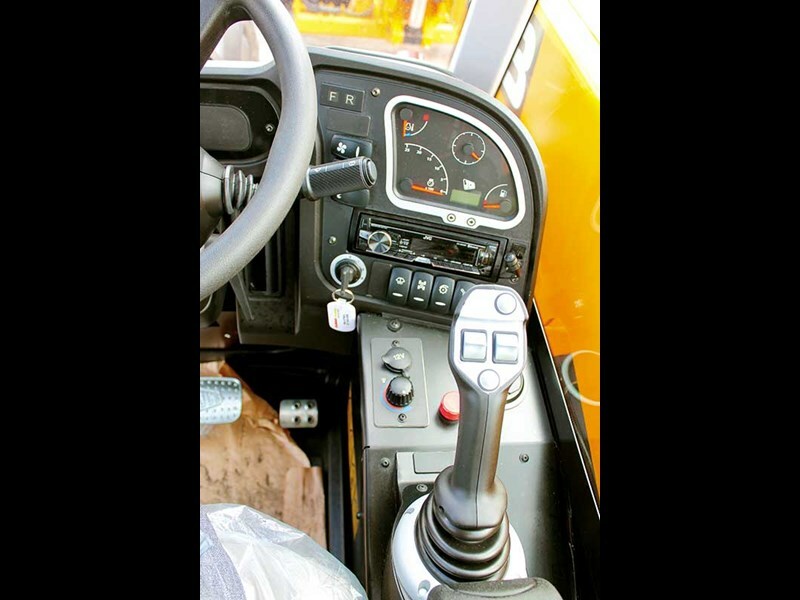 The cab of the JCB Loadall has plenty of head room, a deluxe air ride seat and tilt adjustable steering column along with air conditioning fitted as standard to New Zealand machines, ensuring excellent operator comfort. Offering a very upright driving position with plenty of glass all around makes the JCB one of the best in the market I have used in terms of all round visibility. Functions and controls are well laid out, my one little suggestion with the functions of the electro-hydraulic joystick controller would be to move the neutral button from the bottom of the controller to the top right so you can select neutral with your fore finger leaving the thumb free to use the third service and boom controls. A well-built machine, built for its purpose and designed with the operator’s safety in mind is essential these days. 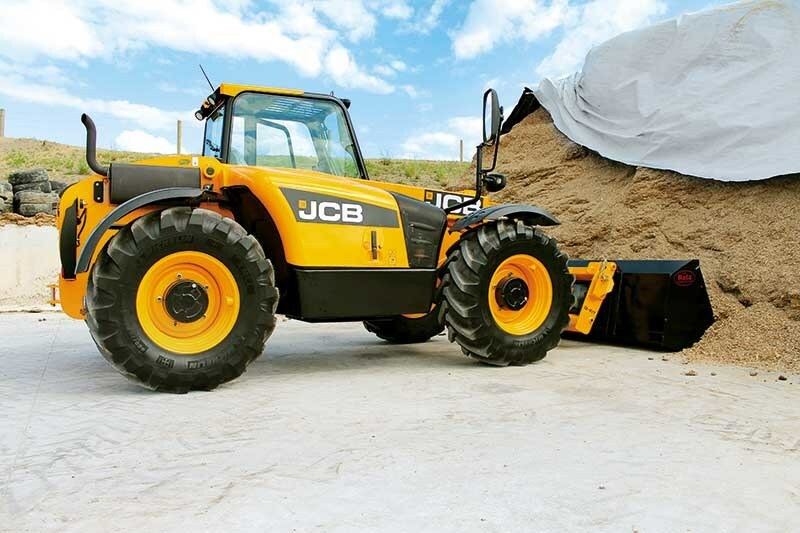 Telehandlers like the JCB Loadall are designed as dedicated loading machines, and have the technology and safety features built in to manage loads safely as well as steel protection on the cabs to protect operators. I found the four-speed Powershift transmission on the 526-56 safer when operating on hills than a fully hydrostatic option as you can lock into a slower gear, getting some transmission braking, so you’re not relying solely on the brakes. 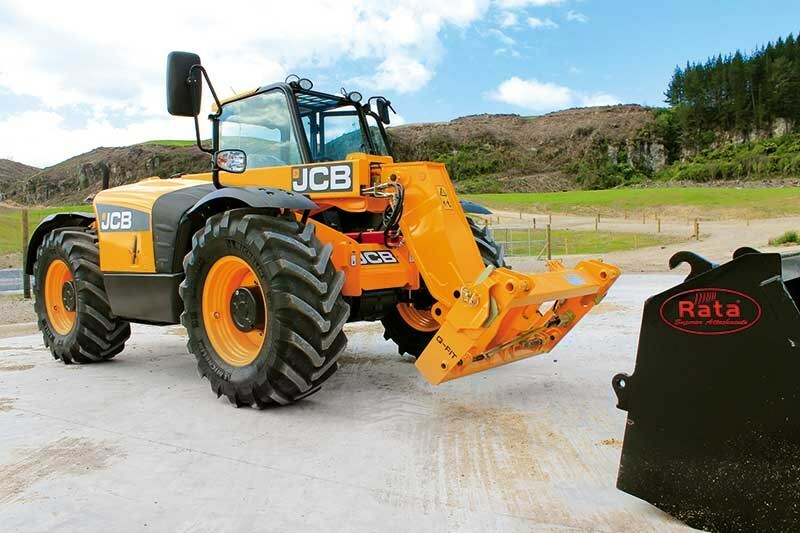 JCB use an in-board braking system on these machines for long-service life keeping them out of the day to day farm environment. Class Harvest Centre spec the new JCB’s with Michelin tyres, which initially command a small premium price, but the tractor tyre tread with harder construction type compound has proven to be a winner with owners getting those extra hours out of this set of tyres over other options. There are numerous attachments compatible with the Loadall which gives this machine its incredible versatility. Basically you can get whatever attachment you like including genuine JCB attachments or there are a variety of other manufacturers designing attachments to suit a variety of machines. Ata Rangi Pastoral has had a 2.5-metre, 1.3-cubic-metre bucket fitted to the test machine, which is a little over the 2.3-metre machine width and should keep tyre damage to a minimum when loading silage from concrete bunkers. Ata Rangi Pastoral also has a scraper for the feed pad and pallet forks. In terms of target market, I think Class Harvest Centre is onto a winner with the JCB 526-56. In terms of specification, you are getting real value. It’s not over specified, but not missing out on creature comforts like air-conditioning. The benefits of the built-in safety features which comply with overseas regulations ensure the job gets done safely. 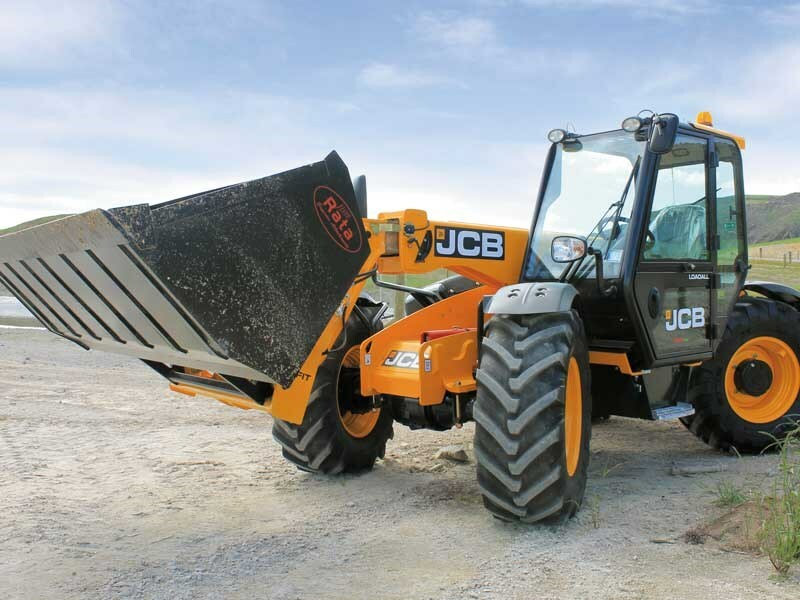 As well as having the right tool for the job when it comes to loading, the standard reply from most new telescopic loader owners is that they wish they’d bought one sooner. 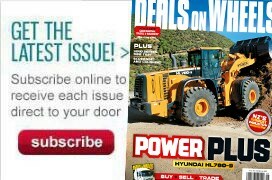 Read the full review in the latest issue (#226) of Farm Trader magazine. Subscribe here.